Windows has been Microsoft's most reliable cash cow for nearly three decades. The software giant is gambling all of that success on what it deems to be the company's future: a radically redesigned Windows 8. Windows is the linchpin of Microsoft's empire. Without a significant design overhaul since 1995, the operating system has been essentially printing money for Microsoft. Last year, Windows brought in more than $18 billion in sales and $11.5 billion in profit. On its own, Windows would be big enough to place among the largest 150 U.S. companies by revenue, and its 62% profit margin would rank among the highest in the world. But the Windows money tree is beginning to wilt. PC sales are slumping. Windows revenue has fallen for two straight years, and Microsoft is missing out on a rapidly growing tablet market that has begun to eat away at traditional computer demand. Just a few years ago, Windows ran about 90% of the world's Internet-connected computing devices, according to Net Applications. Now, with the rise of smartphones and tablets, Microsoft's share has fallen to about two-thirds. Apple (AAPL) alone has sold more than 100 million iPads in just two and a half years. At an event held Tuesday unveiling a new line of iPads, Apple CEO Tim Cook noted that his company shipped more iPads in the second quarter of 2012 than any single PC manufacturer shipped PCs. "This has gotten a lot of attention," Cook quipped. It sure has. Microsoft had two choices: Do something radically different to win the future or risk a slow death by cleaving to its past. Microsoft picked the first option and created Windows 8. The touch-based operating system works both as a desktop PC and a tablet platform, and it's not hard to imagine Windows 8 running on a dizzying array of other devices, including table tops, wall screens, kitchen monitors and whatever new touchscreen gadgets we will be using in the future. "This is an absolutely critical product," said Bill Gates, Microsoft's chairman, on a company video blog. "It's key to where personal computing is going." Perhaps Microsoft's most radical change is opening up the Windows platform to devices powered by ARM-based processors. About 95% of tablets, smartphones and other mobile devices run on microchips designed by ARM (ARMH). With Windows RT, the ARM-compatible cousin to the Intel-based Windows 8, Microsoft gains access to a whole new array of mobile devices. 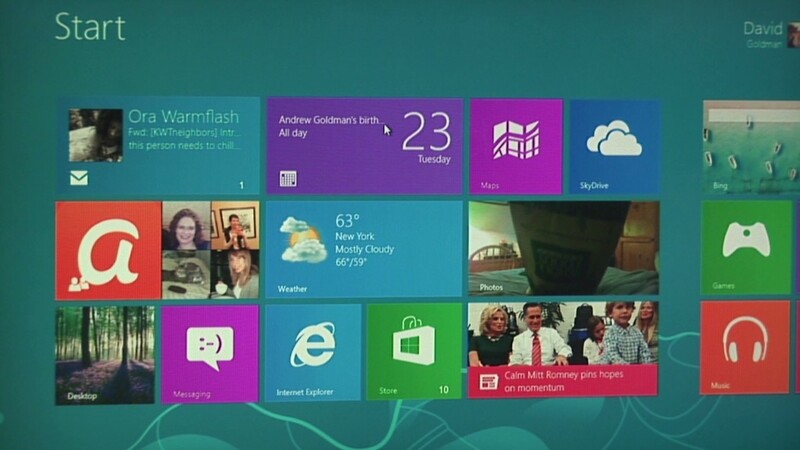 Windows 8 is Microsoft's attempt to set the tone of the next several years. Consumer acceptance is the big question mark. Industry analysts think users will be startled and confused by the new software's starkly different look. Gestures, tiles, charms and tickles replace many of the functions from the familiar Start menu -- which is nowhere to be found in Windows 8. The operating system isn't difficult to use, but it's got a learning curve. "Microsoft is making appropriate, significant changes to Windows, but it's going to be challenging for customers to embrace it wholeheartedly," said Frank Gillett, an analyst at Forrester Research. As different as Windows 8 looks compared to its predecessors, its guts got an even more severe overhaul. 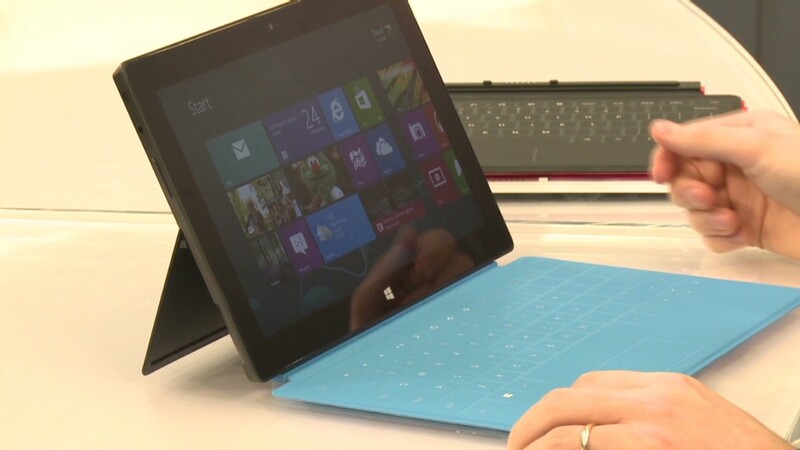 Windows 8 now supports a new kind of tablet-like application software, and the only place users can get those apps will be the Windows Store. That's the wave of the future, embraced early by Apple and Google and long ignored by Microsoft -- until now. "Microsoft is responding to competitive pressures that have made it rethink not only how its products should look, but also how they should be architected," said Michael Silver, analyst at Gartner. "Fundamentally, the application model that worked well on the PC for so long needs to be changed for new classes of devices and new types of usage models." It could be a lucrative change. Apple and Google each take a 30% cut off the top for each app sold on their devices. Microsoft currently makes zilch. If Adobe (ADBE) opts to release a Photoshop app for Windows 8 through the Windows Store, Microsoft would take home a percentage of those lucrative sales. Microsoft's financial success with Windows going forward might well be measured in apps, as much or more than traditional operating system sales. That's a radical break from how the company has operated for decades. Here's the catch: If Windows app development doesn't skyrocket, Microsoft's master plan is at risk. "Microsoft will fail if it cannot convince developers to adopt Windows for future development quickly, especially for consumer applications," Silver said. "Microsoft is already late. It doesn't have a few more years."